on the road on a whim. 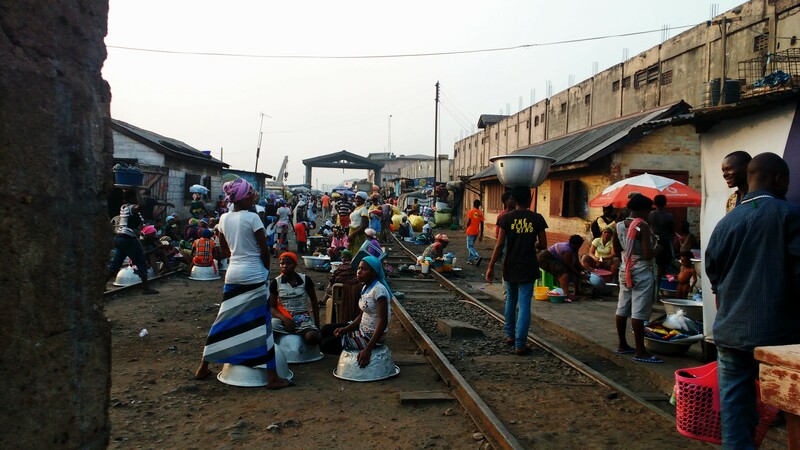 A paint factory of uncompromising nature and a lurid Pepsi factory jut out from the jumble of shanties along the dusty street, one kilometre northwest of Agbogbloshie Market. Locals sell old car hubs refashioned into barbecues, neatly stacked cooking pots of every size, second-hand computers and television sets, piles of car tires and wooden crates. “I’m looking for the scrapyard,” I tell a kid on the street. “Ah! Bola. Ah heh.” He points up the road and across the river. 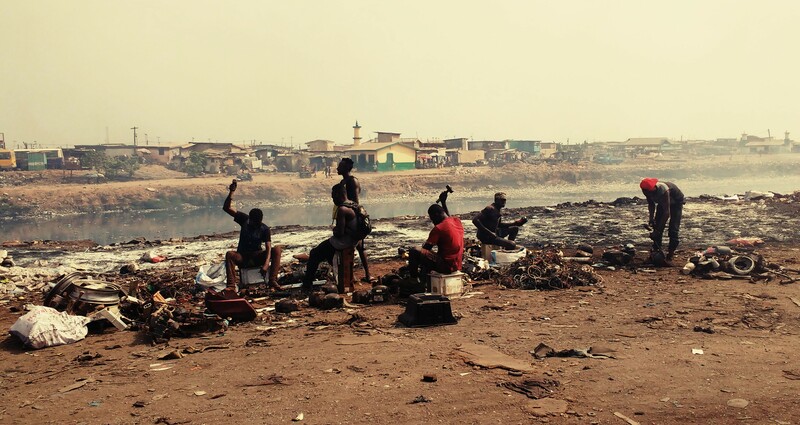 The Odaw River, once a clear, flowing tributary next to a lush wetland, has morphed into a big, grimy brook of bola that carries its toxic cocktail to the Gulf of Guinea just two kilometres away. Thirteen years ago, Agbogbloshie was a site of greener pastures. 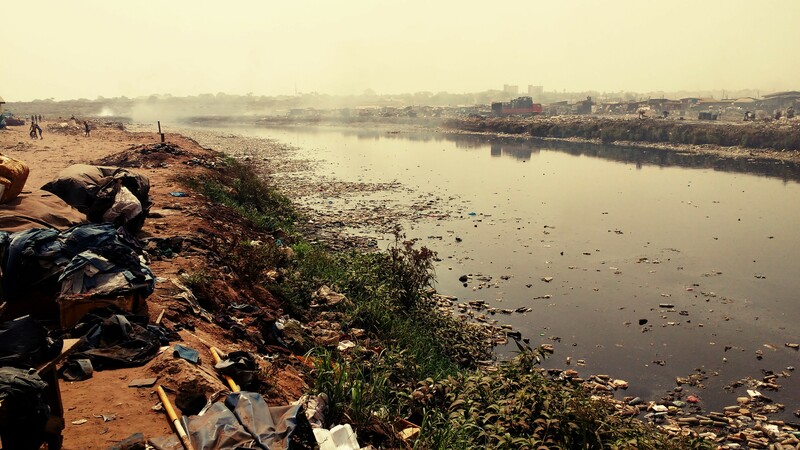 Now, a network of plastic bottles layer the surface of the river, as though a translucent brick road has been laid and grouted with an oily black substance. Either bank of the river is lined with trash, which piles up onto the surface of the ground and stretches into oblivion. The air is thick with inky, poisonous smoke billowing over the water and towards the bridge I stand on. 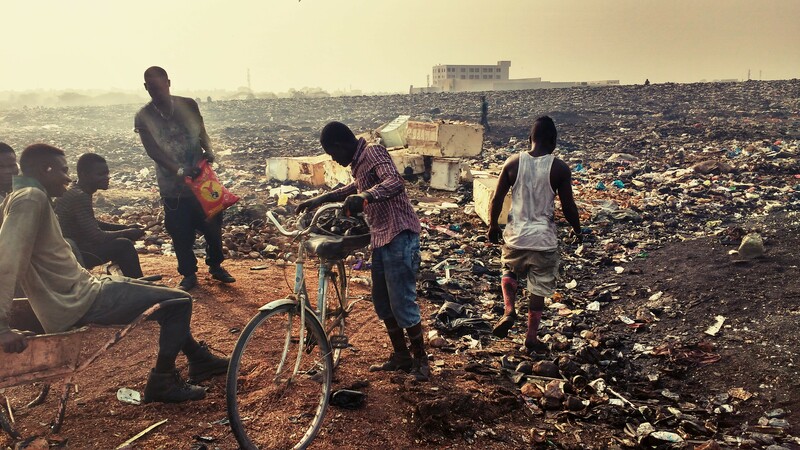 Agbogbloshie is Ghana’s main, unofficial dumping ground for local and foreign electronic waste. 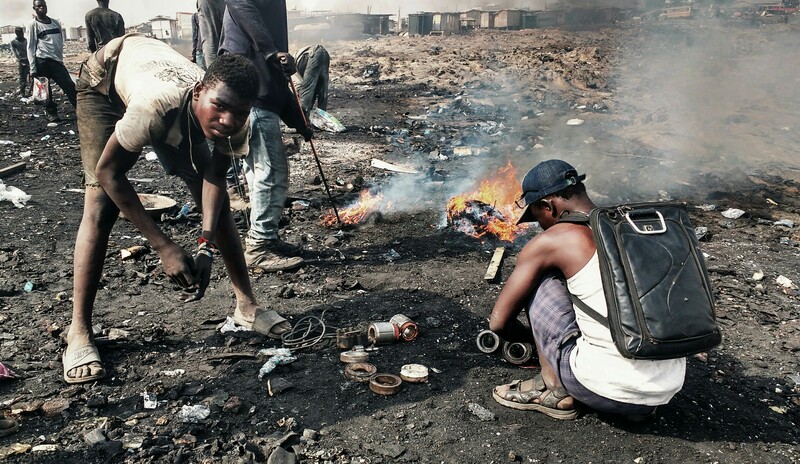 Discarded devices are shipped in from the United States, Western Europe, Australia, and Asia to Tema Port, about 30km away from the scrapyard. The items are then bought and sold to merchants and salesmen at the ports, who take the old devices to repair and sell second-hand. 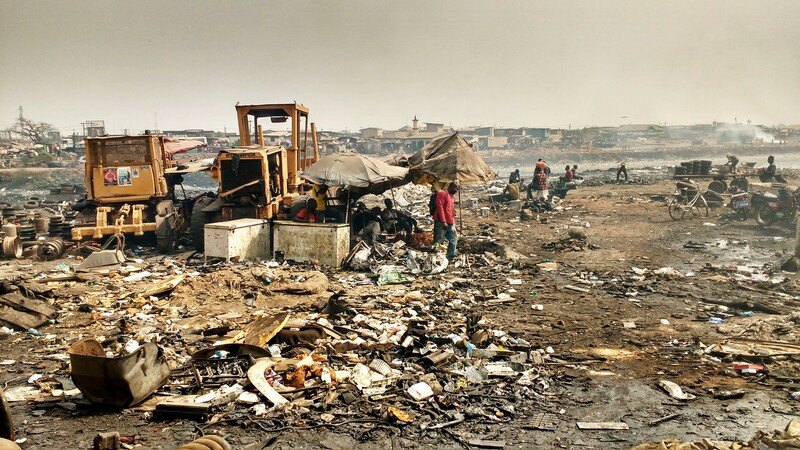 Most of the wasted devices are trucked to Agbogbloshie, the world’s largest e-waste dump, where labourers strip the plastic to salvage the metal. This recovered copper, iron and aluminum will be sold to metal dealers or large companies. 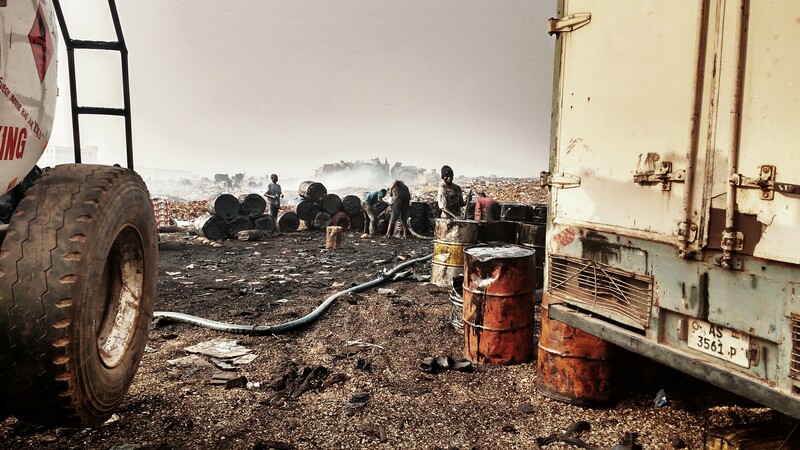 Even though an organization called the Basel Action Network has banned the transportation of hazardous waste between countries, including non-operational devices, “developed” countries find loopholes to bypass this regulation. 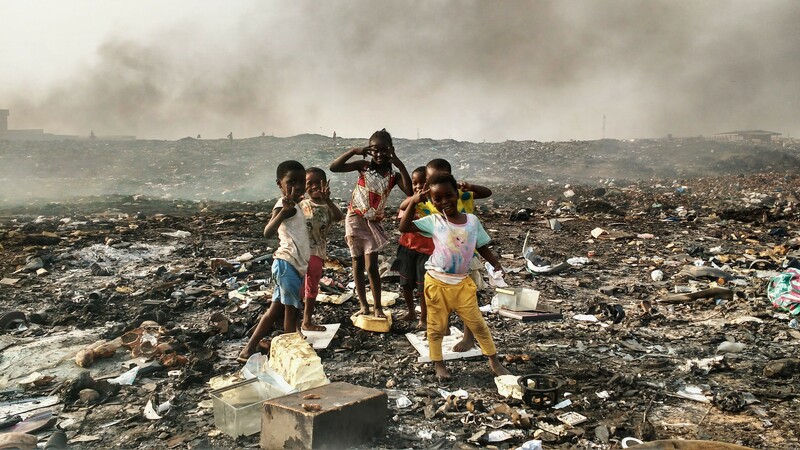 Treating e-waste within their own countries in accordance to environmental laws is expensive, thus they are shipped to “developing” countries where there are no laws restricting cheap, high-polluting treatment procedures. At the other side of the bridge, a man sells sandals. All black, all rubber. 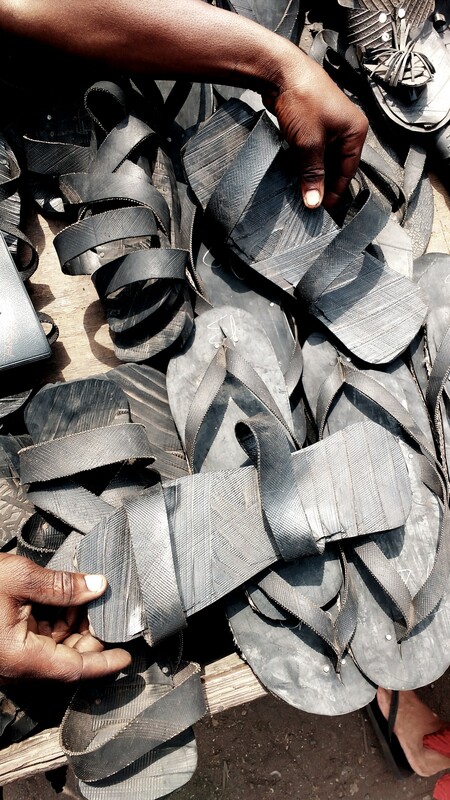 They are fashioned from old car tires, cut to size and nailed together. Past the rubber tire shoes and across the bridge, I take a left, walking straight into the haze of black smoke. 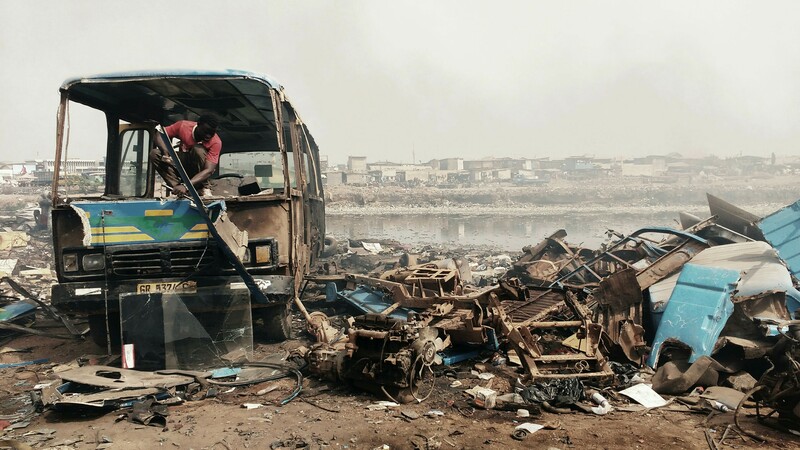 The land is a thriving dump, a soil prosperous with plastics, broken glass, dismembered television sets, broken-down busses, dismantled computers, and dead kitchen appliances. Rubber tires, leaking refrigerators, pieces of insulation, metal pipes, and scraps of wood litter the ground. I wave to a group of men sitting on benches beneath an elevated piece of corrugated tin. They are staring. A crew of young guys situated under a few soiled umbrellas have a mountain of copper wiring at their feet. It’s early in the afternoon. One of them, wearing rubber gloves, strips the plastic casing from the metal. Most of the guys shy away from my camera, but the gloved one doesn’t seem to mind. 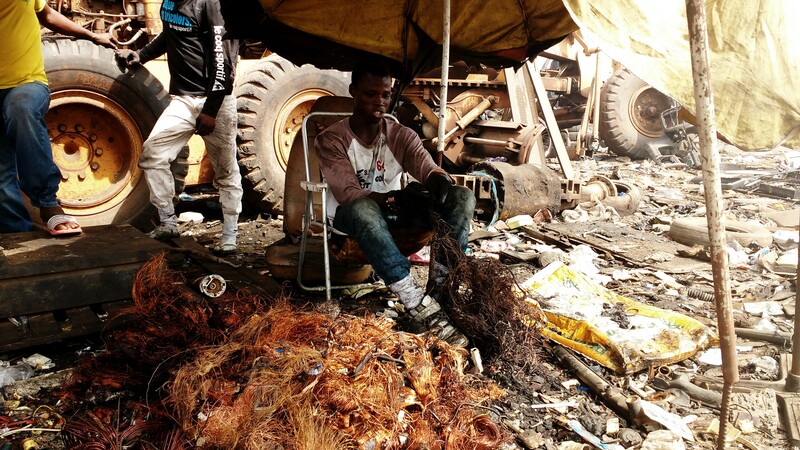 In broken English, he explains they make six cedis fifty pesewas, or about $1.5 USD, per pound of copper that they salvage. These e-cyclers say they sell it to a company owned by a Lebanese guy, but they don’t know the name of it. 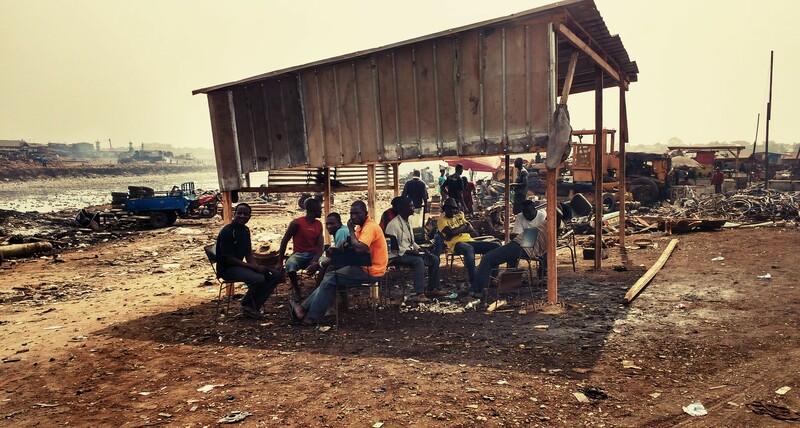 Many companies in Ghana want to buy the recovered metals from low-cost labourers. Often, they are managed by Chinese or Nigerians, but also Americans, Indians, and Europeans. These low wage, local workers supply the companies with a hefty revenue not conducive to the pay they receive in turn. Continuing through the dumping ground along the river, I snap photos of the surroundings and the people. Some don’t mind or take notice. Others pose with their friends. A few get angry. On one of the pathways, one such man approaches me. He criticizes me for walking around and taking photos without meeting and conversing with the workers first. His name is Yaro. He leads me across the burning wasteland towards a group of men setting fire to mounds of wire. Yaro wears a backpack and hat. Him and the other men all wear sandals. They gather large masses of copper wires encased in plastic and any other old electronic parts with plastic that needs to be removed. The parts must now be burned. The bundles light up like giant flaming balls of spiderweb, and smoke like black wool twirls into the already smouldering sky. This is every depiction of the apocalypse, save for the women and children kayayei balancing huge bins atop their heads of water and malt and biscuits for sale. 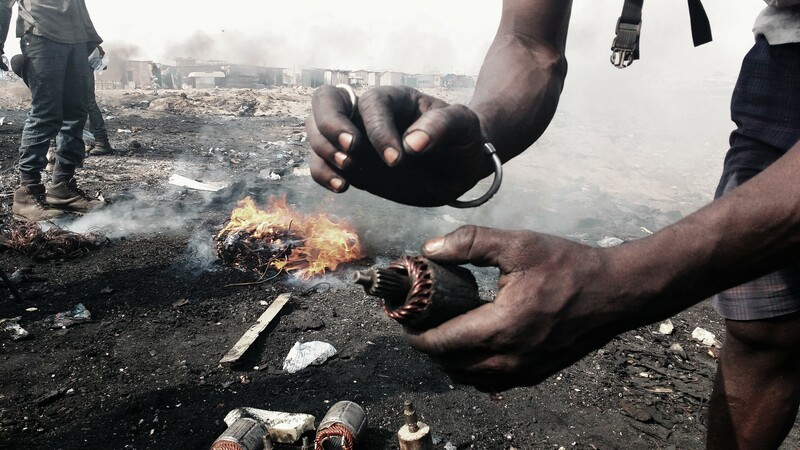 The smoke blows southeast, over the river towards the largest food market in West Africa. It’s clear why so many workers here become sick, and many have high levels of lead in their blood. The workers here are, essentially, Yaro’s employees. They all appear to be very young, and don’t speak much. Two sit in a wheelbarrow, watching the rest of the workers set fire to the bundles, who then lift them with big sticks to stoke the flames. Once the plastic has melted off, exposing the precious metal, they haul it to their respective piles to be weighed later. 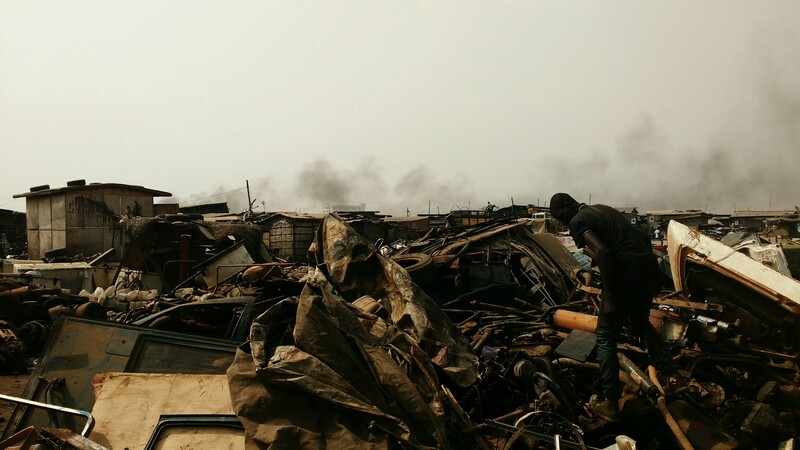 The scrap metal will then be sold to the large companies in Ghana, or shipped to factories in “developed” countries. 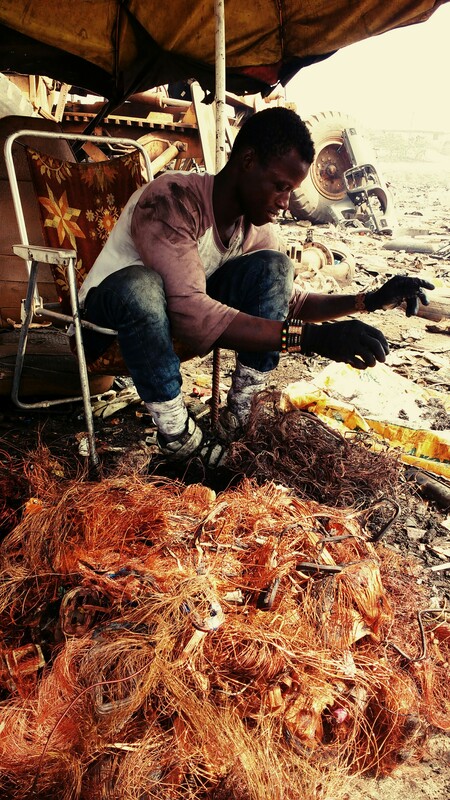 Yaro lights up another copper bundle with a flourish. “Okay, get the fire! Take pictures!” he orders. Yaro is twenty years old. He was living in the north with his parents when they urged him to head south to look for work. So, at eight years old, he hopped on a bus and arrived in Accra. 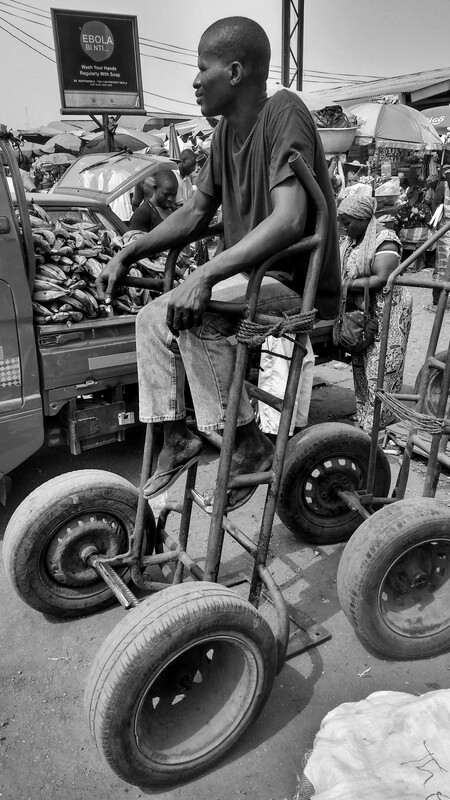 Eventually, he came to work at Agbogbloshie scrapyard. One labourer, Mohammed, fifteen, is here for two weeks over the Christmas holidays so he can earn some money during his break from school. Another, who is seventeen, graduated high school but wants to earn an income that he can support his family with. 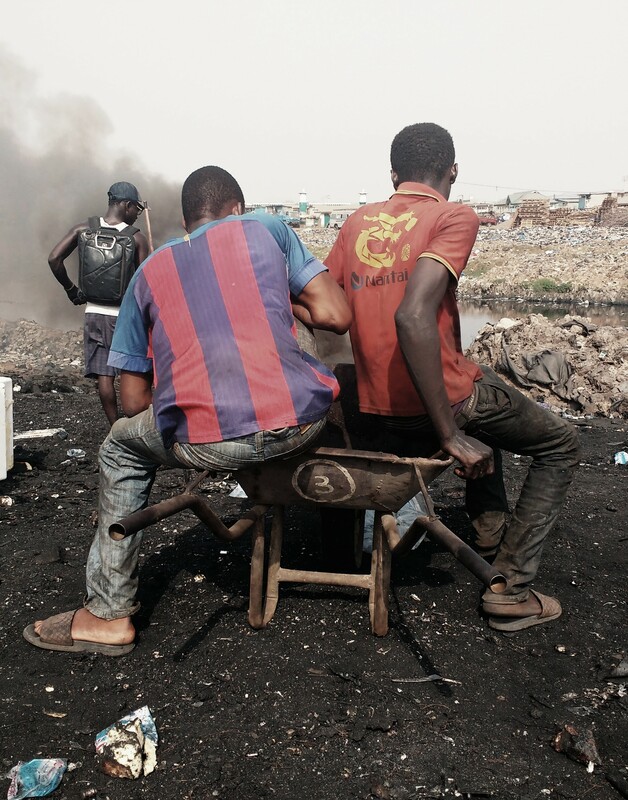 Yaro and Mohammed guide me across the wasted land, between the garbage heaps and piles of coconut shells. Evidence of the ‘beautiful wetland’ and ‘paradise’ that was once Agbogbloshie crops up in the form of small patches of startling green grass. They are as rare as diamonds, and it’s easy to imagine that within a year, they will be filled with broken microwaves and last years discarded iPhones. 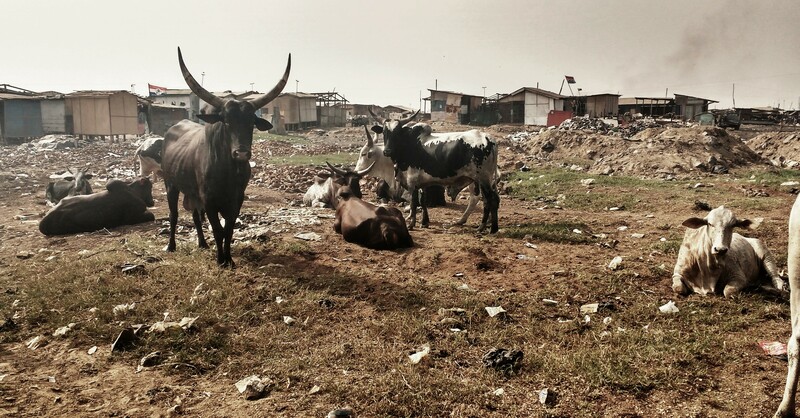 Cows graze on the trashy pasture, goats trip through the piles of bola. 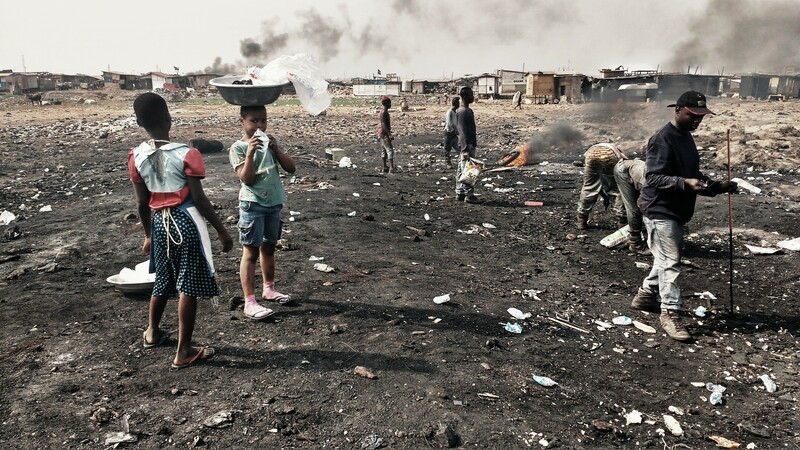 Just ahead is a collection of shacks–the neighbourhood inside the dump where many workers live. Where they sleep, eat, and pray when off duty. Yaro leads me to a small, shady store around the corner selling snacks and drinks. A television set inside shows a movie. He brings me to his house next, a one room structure built of wood and aluminum scraps from the yard. Inside are two flimsy foam pads lined up separately against two walls, which are the beds where him and his friend sleep. In front of Yaro’s house a young man sits on a bench, polishing shoes, and another hunches in his Muslim garb. The latter lights up a big joint. “Please, I just ask that you don’t make any pictures of me with this,” he says, laughing. “I’m going to get you arrested,” I joke back. Soon after, as though I’d had him on speed dial, a police officer appears down the street, strolling towards us in his uniform. When I look over at the guy with the joint, his hands are magically empty. The cop says something to him, and they banter in Twi, one of the local languages. As soon as the policeman passes, the joint appears again in the man’s hand. “What would happen if he caught you with that? Would you get in trouble?” I ask. “He saw it in my mouth. So I hid it. If he catches me with it then he has to get me in trouble. So I just put it away until he left.” He lights the joint again and takes a drag. The group of us chat until the sun gets low and it is time to go home. I’m looking forward to getting a breath of air that isn’t laden with carbon monoxide. Yaro and Mohammed walk me all the way back through Agbogbloshie and to the tro-tro station. Mohammed is headed home for the evening, and Yaro will go back to work. 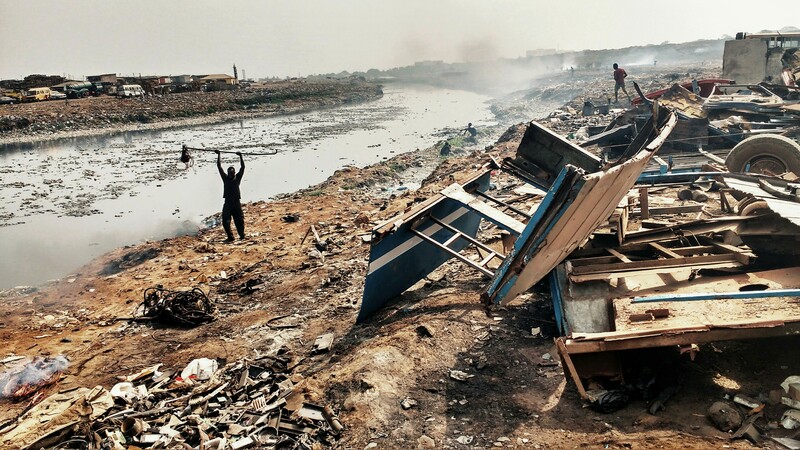 Agbogbloshie’s electronic waste dump is a concerning issue for Ghana’s infrastructure, economy, environment, and the health of its people. It has garnered much attention from well-meaning environmental activists and humanitarians. As a worksite, the conditions are atrocious, especially in regards to the impact on the labourers’ health. Wages are unfair. 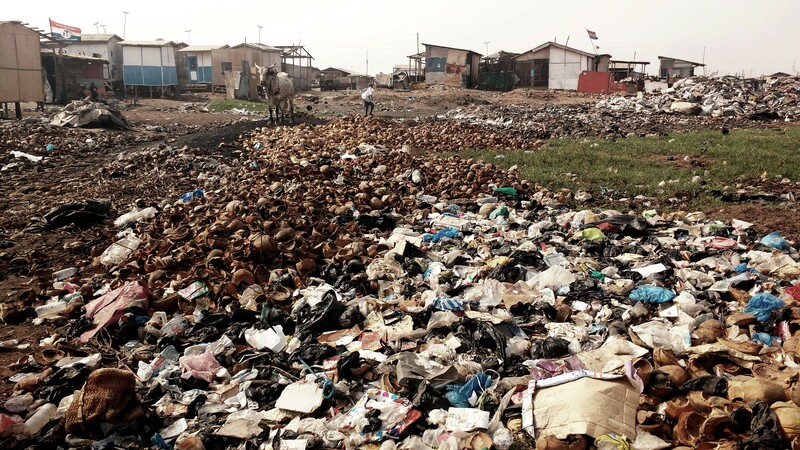 In terms of the actual work being done, however, Agbogbloshie’s “recycling” program is often portrayed as all negative. Countless tonnes of electronic devices and parts are salvaged, repaired, rebuilt, and sold within the country. Second-hand electronic devices have infiltrated Africa, and most people own phones that have been “previously-enjoyed”. By giving these phones, computers, and appliances a second life, they are used to their full potential. This practice has created a magnitude of skilled repairmen and an industry of re-used, thrifted electronic products. Often, these products have been used for less than a year or two, then discarded by ‘first-world’ users who want to upgrade. For products that have truly reached the end of their life, the metal is salvaged and sold to be recycled. REDUCE is the only aspect of ‘Reduce, Re-use, Recycle’ not adhered to. ‘Reduce’ is the responsibility of producers and consumers– developed countries plagued by materialism. 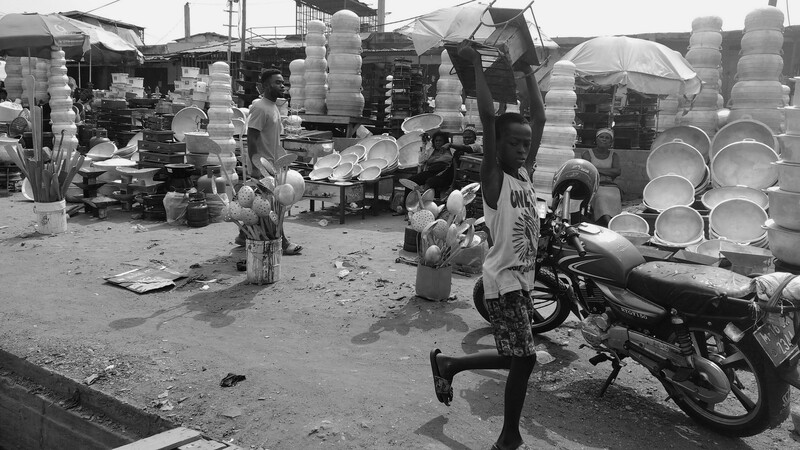 Ghana has become a skilled re-user and re-cycler when it comes to electronic bola. 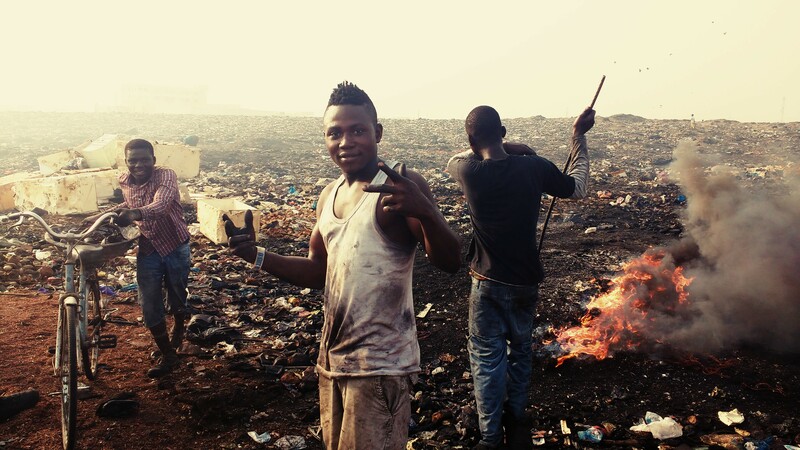 There is hardly a clean sweep solution to Agbogbloshie’s electronic waste issue, aside from accepting its existence and working with the positive aspects it possesses. 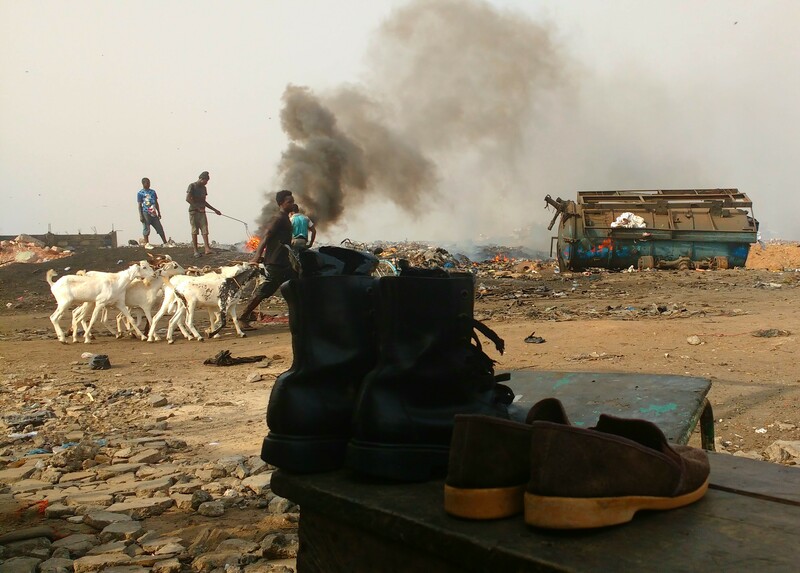 Some environmental groups, like AMP, look at Agbogbloshie in this light. 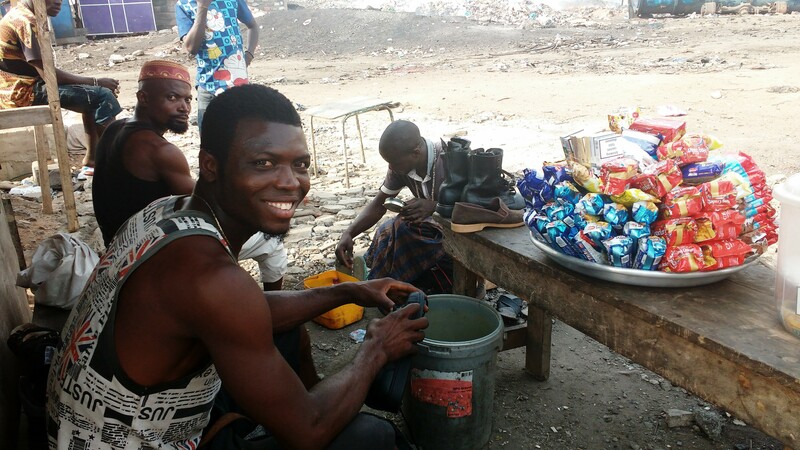 They work with the Agbogbloshie community to extract the positive potential its burgeoning e-cycling industry contains, and build on it. They use innovative ways to continue the recycling aspect with creativity, awareness, and safety. There is still room for improvement, however. 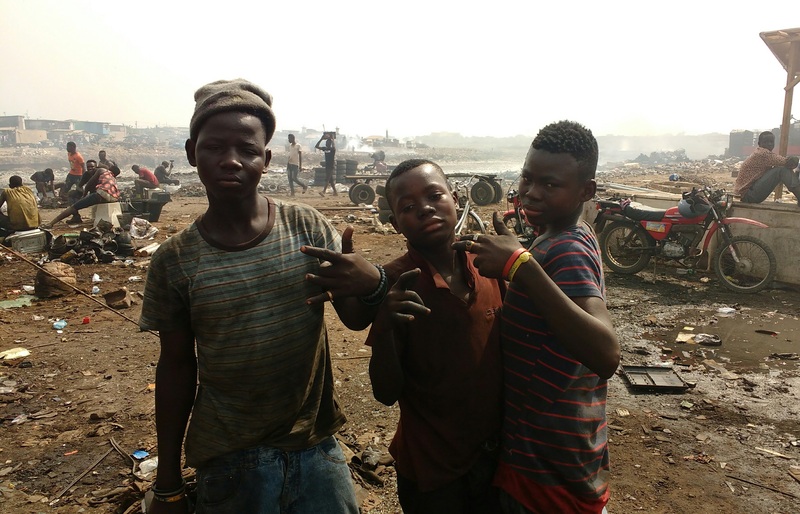 Implementing safety measures for the workers and inhabitants of the site, and providing knowledge of the hazards that their waste treatment methods entail would arm scrapyard recyclers with the awareness of health issues that surround the environment they work in. 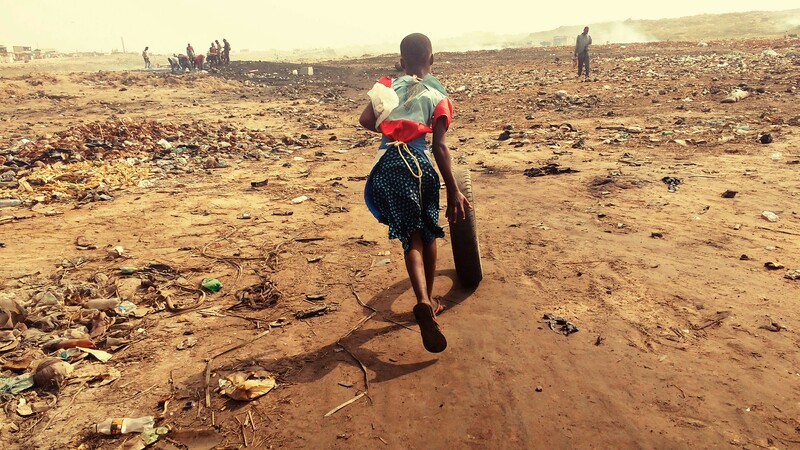 At first glance, Agbogbloshie is an environmental wasteland, poisoned with the exploitation of local workers. It’s easy to generalize the issues of this scrapyard, but the issues are much more complex than any one look can expose. 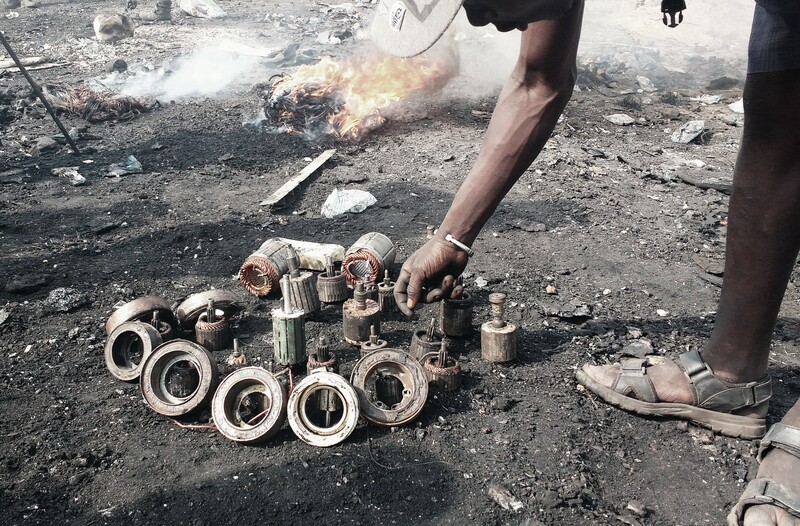 Agbogbloshie breathes new life into discarded electronics. The ramshackle industry has bred a workforce of skilled electronics repairmen, and if anything, the attention they garner allows outsiders to witness the ramifications of a consumer lifestyle that is often overlooked and easy for the western world to ignore. The environmental and humanitarian issues of this community are concentrated versions that currently affect the entire planet. In such a condensed state, the reality of Agbogbloshie is a slap in the face. From instances like this, we can begin to brainstorm solutions that may slow the spread of such adverse conditions to other areas of the world. Dayna, wonderful article. I’m going to share this with Peter Holgate, CEO of Ronin8. 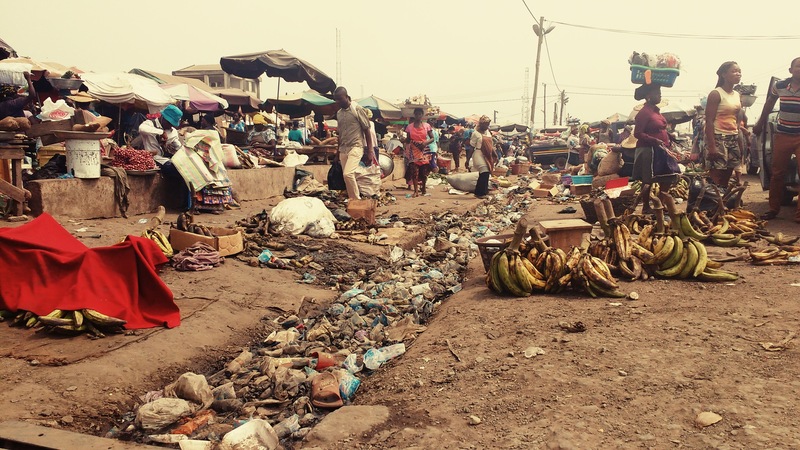 His business is producing the answer to help e-dumps like this become safer and more effective. I’d love to see one of his installations set up in Ghana. Keep up the great work here — this is an important story that needs more attention from all of us! Ahh thankyou pops! That would be super. It’s an interesting, complex place. Maybe Peter has some cool ideas? © Dayna Mahannah and www.inittowingit.com, 2015-2018. Unauthorized use and/or duplication of this material without express and written permission from this site’s author and/or owner is strictly prohibited. Excerpts and links may be used, provided that full and clear credit is given to Dayna Mahannah and www.inittowingit.com with appropriate and specific direction to the original content. wing it with me via email!